Fun and Bright Reporters Notebooks perfect for the office, school or home. 200 x 127 mm Sized Reporters Notebooks with 200 pages. 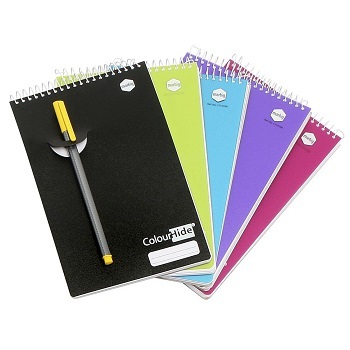 Pack of 5 x Top Bound spiral notebooks in assorted colours.